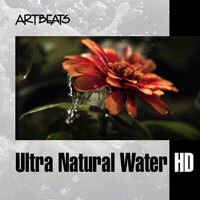 Artbeats Stock Footage Collections- Making Your Editing Life Easier. Last year my good friend and weather photographer, Randy Siegel, asked whether I wanted to go storm chasing to get some good footage and photographs of the tornados, lightning storms and whatever else the mid-west had to throw at us. Me? I was just crazy enough to go for it, but then Randy's sense of adventure dissipated with the realization of all the driving and expense that that would entail. Actually, it was probably good common sense on his part as my back is no longer a friend of this old body. No problem, for it seems that if there is ever a genre of footage that I might need for myself or a client, if I can't shoot it myself, Artbeats usually has a collection of clips that fit the bill just perfectly. While I have reviewed several Artbeats collections in the past, for this review I thought I would go in another direction with some different footage so I focused on some of the clips that Randy and I might have gotten, if we were lucky, very lucky and extraordinarily lucky. However, with the Artbeats collections, luck has nothing to do with it. No matter which collection I viewed, even the one lone Standard Definition collection of Tropical Hawaii, the images are sharp with deeply saturated color and are just beautiful to look at. If any reader has followed my reviews over the years, especially when reviewing software, they have noted that I always make mention of the presence, or lack there of, helpful tutorials designed to ameliorate the new user's learning curve. The Artbeats collections of footage is not software that one needs to learn to use, but how footage can be used in a milieu of ways can often be an enlightening occasion. 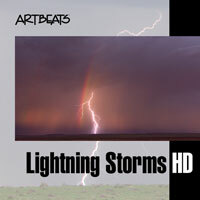 The Artbeats site is an excellent source of video tutorials utilizing the skills of many editors and, of course, using sample clips from the various Artbeats collections. Each tutorial focuses on creating various effects, presentations and possible uses for any of the Artbeats collections, and in doing so, you are called upon to utilize or learn skills and software functions that you might not have known were there or how to utilize. The cost of DVD tutorials has risen greatly in the last couple of years and while most that I have seen have been really quite good, here we have the Artbeats website that provides an extensive resource of a variety of video tutorials ranging from 10 minutes to as long as 45 minutes and all for free. Coming from a diversity of editors, not only do you get additional perspectives on how you can utilize any of the Artbeats footage collections, as well as footage you may have shot yourself, but you gain the additional skills that editors always try to assimilate within their editing repertoire. Of the many tutorials, both written and video, I chose to follow along with a tutorial by Eran Stern entitled 'Doom Island'. This tutorial clocks in at 33.56 minutes and is created within Adobe After Effects utilizing at least one of the clips from each of the Artbeats HD and SD collections featured here. As with all the Artbeats video tutorials, you can watch a final preview of the end result before you ever get started, and with this tutorial, you can also download project files for compare/contrast to your own efforts. Before we begin, it should be noted that any of the clips in any of the Artbeats collections may be purchased and downloaded as individual clips or delivered on disc if getting the entire collection is not a necessity to you. 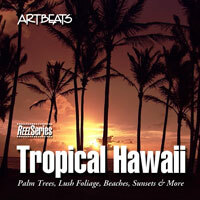 Artbeats clips are provided as QuickTime files with mild photo-JPEG compression and are all delivered as 29. 97 fps with PAL versions delivered at 25fps. Each disc also includes low res 320 x240 versions for easy scanning while looking for just the right clip for your project with the HD versions at full 1920 x 1080 and PAL versions at 720 x576. 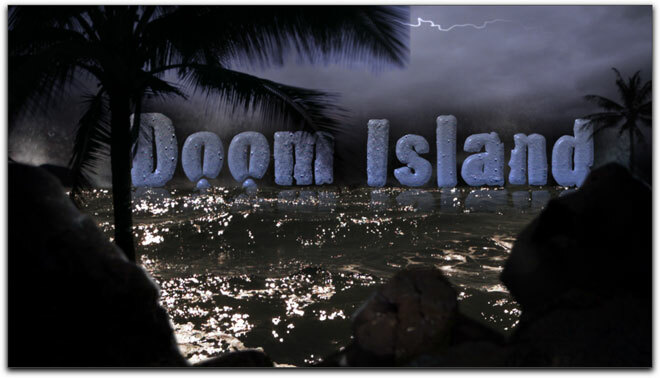 The 'Doom Island' is a spooky opening for any number of projects, especially now that Halloween is around the corner. The key is that it is wonderful and fun way to use clips from these Artbeats collections, and adjust them to your specific needs. I must emphasize that this article does not supply you with all the steps of the tutorial but briefly summarizes some of the things I was able to do with the Artbeats collection clips when following along with Eran Stern's excellent tutorial. 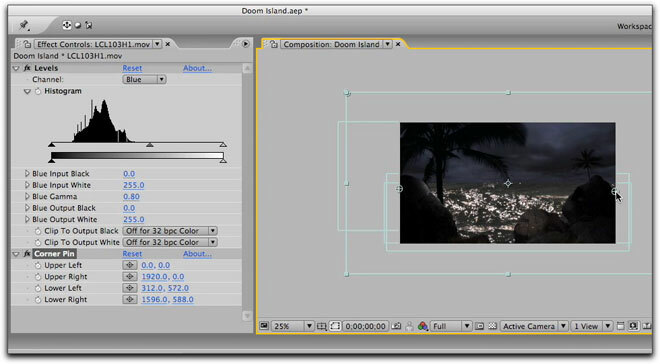 The complete video tutorial, along with Eran's project files can be found at: http://www.artbeats.com/assets/video_tutorials/movies/doom_island.mov. 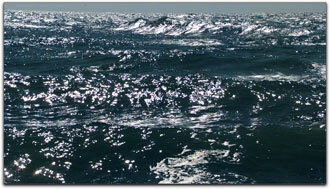 The project starts by using a clip from the Ultra Natural Water HD collection that appears spooky in and by itself. 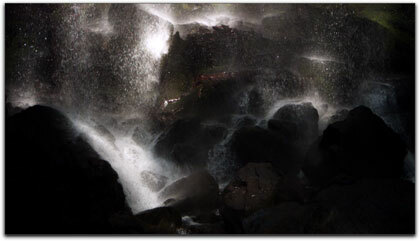 It is the lower portion of a waterfall, awash in dark coloration. 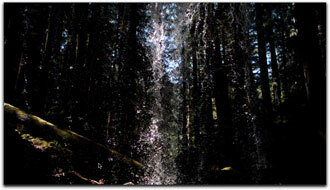 Water is raining down though you do not see the top of the waterfall. After converting it to a 3D layer in After Effects and adjusting the Z space, you duplicate the layer and create a mask using the pen tool. The first clip in our Doom Island Artbeats clip project from the Ultra Natural Collection which contains a large variety of water based clips, all beautifully shot. 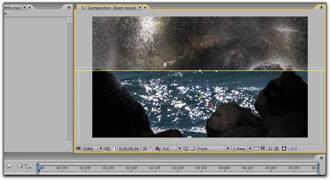 Then bringing in another clip also from the Ultra Natural Water HD collection and placing it between the two layers, you isolate part of the clip with the rectangle tool, convert it to a 3D layer changing the Z space and adjust the position to the bottom of the frame. to be sandwiched in between my first two layers. 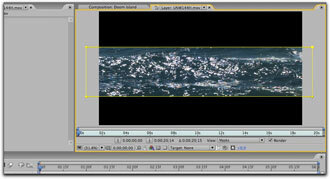 layers, I can then use my color tools to make the clip's appearance fit the mood I am looking for. 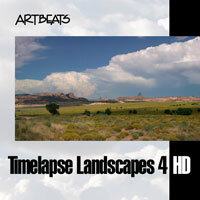 After adding a couple of effects, in this case, both tint and curves, and adjusting their parameters to fit the scene, a clip from the Artbeats' Timelapse Landscapes HD collection is brought in. 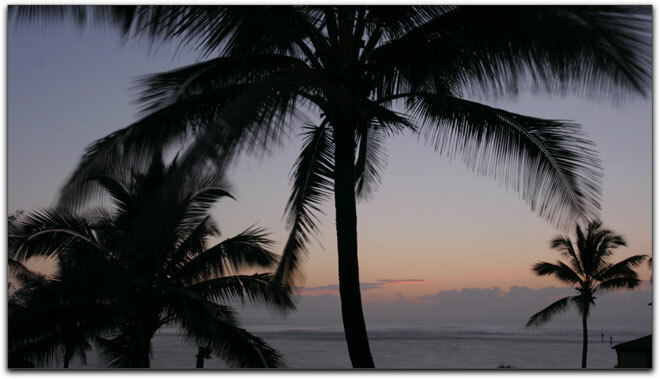 Originally this is a beautiful shot of a silhouetted palm tree overlooking the ocean as the sun is setting. After bringing it into the comp you set about masking the tree, again converting it to a 3D layer and apply just the right color correction filters and position settings to make this once friendly palm tree loom threateningly over the scene. 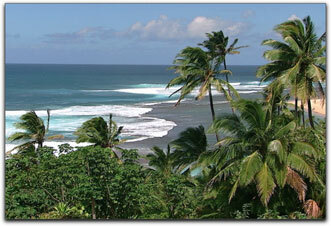 The original clip of a majestic palm tree will be converted to something more akin to Skull Island, home of King Kong. All clips can be viewed here in their 3D space. 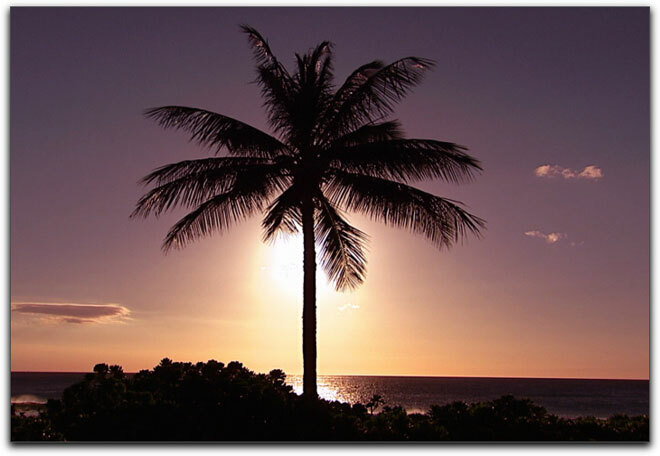 Even a clip from the Standard Definition 'Tropical Hawaii' collection gets into the act with a beautiful palm tree shot, however, once you mask it and apply the proper filters and parameter settings, this, too, becomes a menacing background clip. Who says there's no use for Standard Definition anymore? Masked trees, color corrected water and the scene starts to establish the mood we are looking for. It just goes to show you that just because you have a large library of old 4:3 footage, it doesn't mean that it has to sit there unused, and the Artbeats's Standard Definition clips, are equally beautiful to look at as the higher resolution clips in their HD collections. The key is to know just how to use them and where. 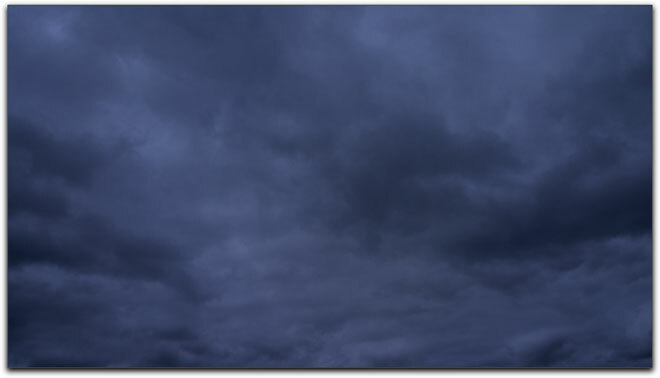 Moving on to a beautiful stormy sky clip from the Artbeats' Lightning & Clouds HD collection, we convert it as a 3D layer, and with adjustments using the histogram and gamma settings, and the application of a Corner Pin effect it now fits the dark mood we are trying to create. 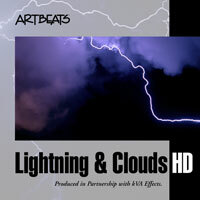 The original clip from the Artbeats' 'Lightning & Clouds' collection. 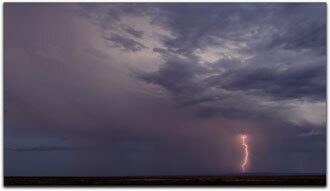 Applying and adjusting the Corner Pin to the Stormy Sky clip creates a 'passing over your head' feel to the atmosphere. 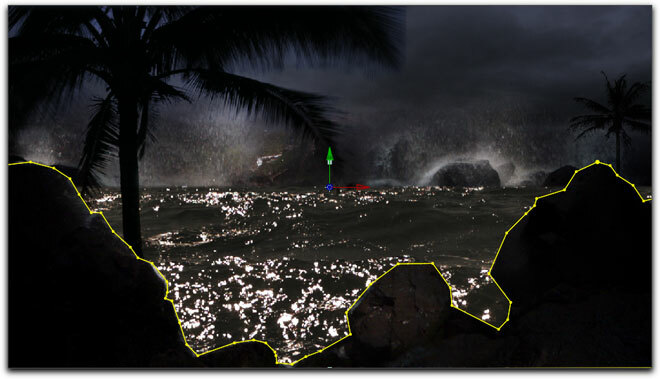 This picture shows the masking of the first boulders at the waterfalls clip placed on top of water, sky, and two different palm trees layers . After using different clips of lightning from the Lightning & Clouds HD collection as well as the Lightning Storms HD collection we create a new comp and apply After Effect's 'EnableTime Remapping'. 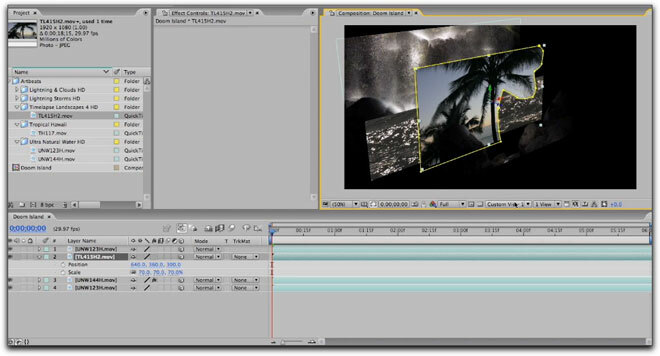 Setting key-frames each time a lightning bolt strikes allows you to narrow down the time between lightning bolts and create an additionally condensed storm clip. This new composition is then brought into your first comp. 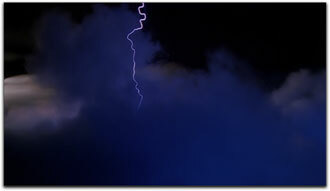 I wish I had the cam that could record these lightning bolts as well as Artbeats has captured them. 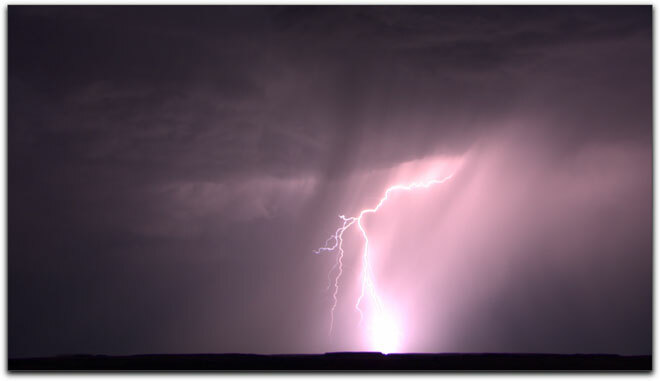 Then again, your clients don't care who shot them; they just want the best footage possible, which is what you can find in the Lightning Storms HD collection. 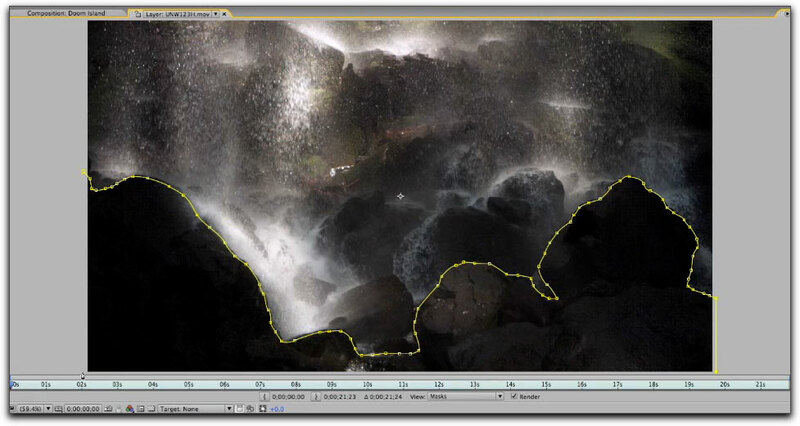 we must then reposition it between the layers so that it fits perfectly within the scene. 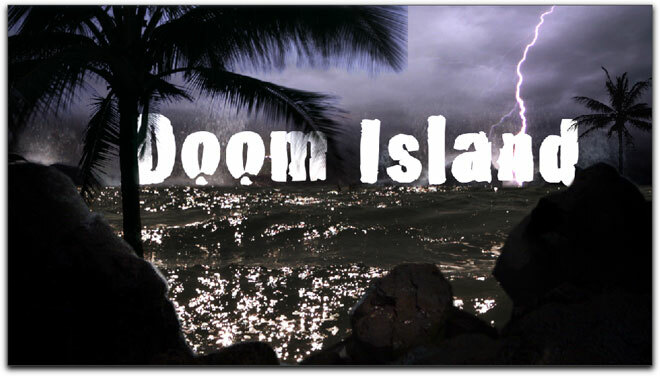 This now sets us up for creating a fitting text for our Doom Island project. The text has now been placed between several layers of Artbeats' footage. It still doesn't look right and the lightning bolt positioning needs further adjustment. After positioning it just at the water's horizon we apply the ramp, cc glass and texturize filters to the text in addition to the warm glow and reflection. We are very close to the end of the project set for this 6-second timeline and can appreciate how many different ways there are to affect the appearance of these clips from their original majesty. They certainly no longer resemble their original Artbeats appearance. That's a whole lot better and the scene has really taken on that doomed and gloomy appearance. 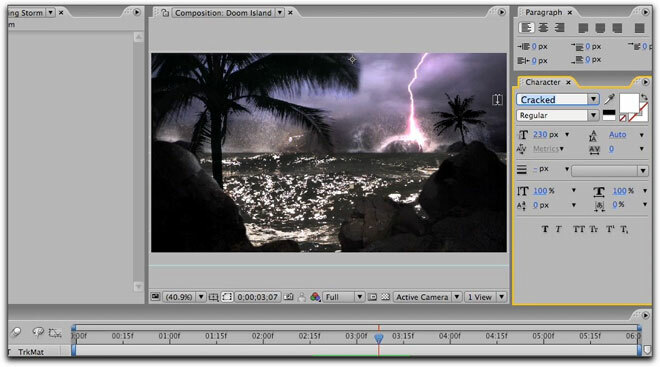 Using markers and keyframes, Eran Stern's Artbeats usage tutorial teaches you how to sync the lightning bolts to the text's opacity so that the Doom Island text flashes on and off as the lightning bolts burst the scene. After fine-tuning some of the project's elements I had a really wonderful clip, which I then submitted to the render queue. I will definitely be saving my project files for this project, as I know it will come in handy in the future. Not only was this a fun project to work on (and a bit time consuming) but I also learned several new tricks when working in After Effects. Just as important, the footage I worked with from Artbeats is absolutely top notch, top quality and top whatever superlatives you might want to throw their way. They are well deserved. A small sampling of clips from these collections that were not used in the specific tutorial displays the diversity of clips available as part of Artbeats Footage collections. As a final note, not only was I working with some of the finest footage I have had the opportunity to review, commendations have to go to Artbeats for the concern they demonstrate for their clients by continually supplying multiple video and written tutorials from which everyone gains. While the footage collections are not inexpensive, keep in mind that all clips may be purchased separately and that you will be working with some of the most stunning footage you can imagine from a massive library of diverse genres.